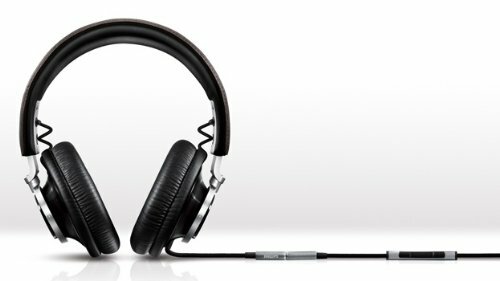 Headphones come in many sizes, shapes, brands and models to suit the preferences of different users. While some headphones may score high on some features, it may not be well-suited for certain genres of music or activities. However, there are a handful of headphones that score well on every aspect such as high quality sound, clarity of notes – which make them suitable for all types of music, user comfort, stylish design and durability. These headphones even come with additional features such as wireless and bluetooth capabilities to give users a greater degree of flexibility while using them. More importantly, they have been rated high by users and industry experts, on a wide array of online shopping platforms. 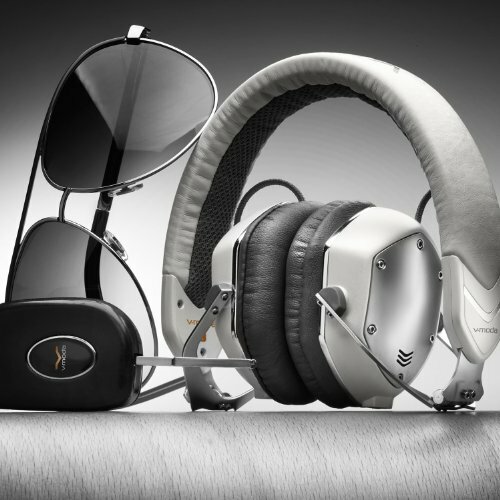 V-Moda spent much time to manufacture the XS model, that was supposed to be a sequel to its predecessor, the Crossfade M-80, a popular model among users. It spent quite some time in the XS model, and the results of this labor is evident in every aspect of these headphones. XS has a unique design that is both stylish to look and comfortable to wear. The head frame is made of steel and is padded with soft cushions to make it sit comfortably on the head. It is sturdy because of the underlying steel, and at the same time, it fits snugly, especially near the temple region of head. This fit is because unlike many other headphones, there is no gap in the temple region, and this is what makes this head-hugging model comfortable for users to wear even for extended periods of time. The cord that comes with these list of headphones is detachable, and it comes with integrated microphone and an in-line remote control for adjusting music volumes and to take calls. 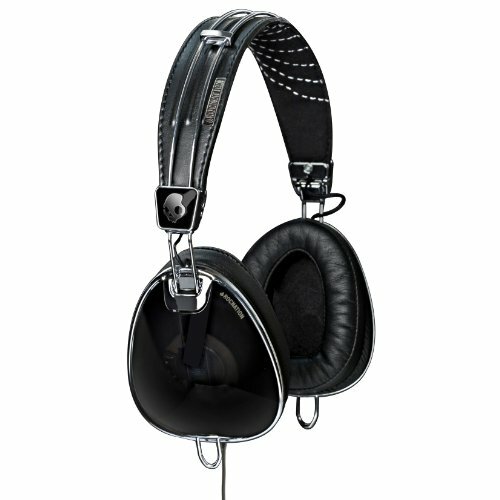 A unique aspect about the design is that the metal faceplates can be removed, and users have the option to choose the design they want on V-Moda’s online store. Moreover, each earcup comes with an input, so it is possible to listen to the same music with a friend. In terms of sound performance too, V-Moda XS is a great choice. The sound is neutral and natural, so the harsh recordings and high-pitch shrills sound better in this headphone. This neutrality comes with fine detail and resolution that makes it a joyful experience to listen to instrumental tracks. The bass sound signature is also good without being overpowering, so it appeals to both bass lovers and audiophiles. Its credibility and exceptional audio performance are underpinned by high customer ratings. 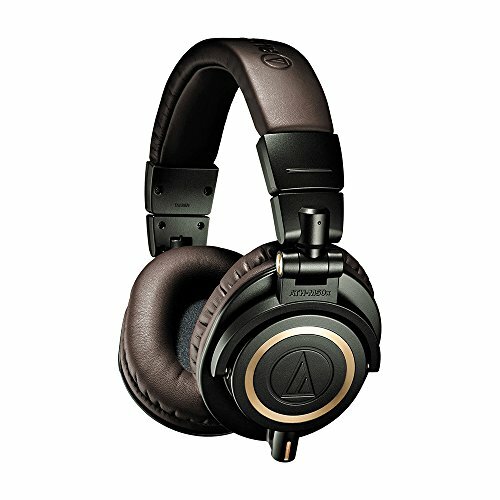 AUDIO TECHNICA ATH M50 headphones are one of the best buys available, because they are sturdy, stylish and have a great sound. 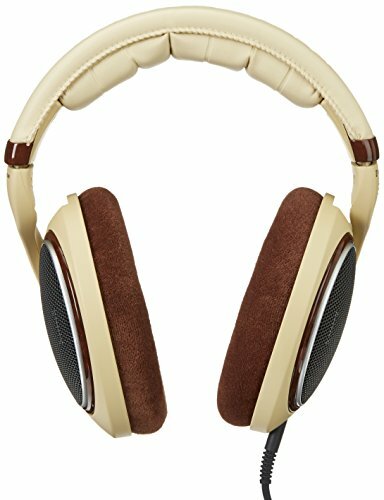 The design looks neat and stylish, and it is actually one of the headphones found very often in recording studios, and widely used by musicians and music production professionals alike. It is sturdy because the underlying material is strong, and at the same time, it feels comfortable because of the generous padding that comes with. The earcups too have thick padding that swivel on both the axes for greater flexibility and comfort. All these extra padding added to make it comfortable for users to wear have made these headphones heavy. Weighing at a little more than ten ounces, these headphones are not the best choice for mobile use. However, they fold flat and fit well in a small bag that comes with these headphones. The heavy padding seals off the outside noise, though there is no active noise-canceling technology that comes with it. The advantage with these headphones is that they keep the external noise away without the slight pressure that comes with active noise cancellation technology. As for sound quality, it is one of the best out there. 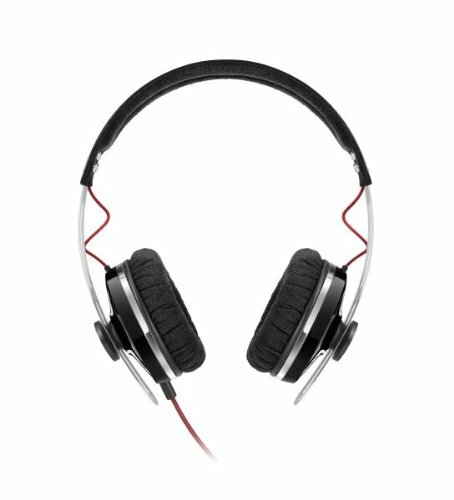 These list of headphones are well-balanced and provide excellent detail on all the notes. The bass is intense, but not overpowering which means the low-end notes are audible and clear but do not come with a big thump that is the characteristic of bass-intense headphones. One downside with these headphones is that they do not come with an in-built microphone, so they cannot be used for taking calls. Other than this drawback, it is a great choice for those who are looking for a headset that produces an exceptional audio sound. 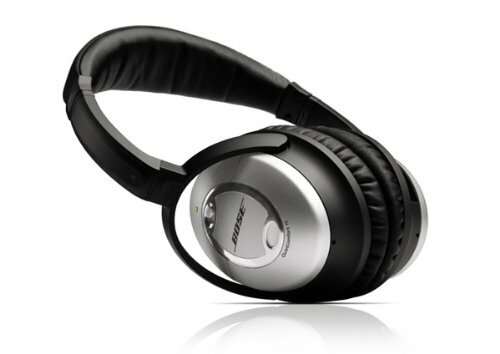 Bose is one of the pioneers in noise canceling technology. The story behind this technology is that Amar Bose, the founder of Bose Corporation was traveling by airplane, and the sound made it difficult for him to enjoy his music. So, he decided to come up with a way to keep the outside noise at bay, and this led to the birth of active noise cancellation technology. Bose QuietComfort 15 comes with this active noise-canceling technology, and this is why this model has such a name. Along with this technology, the company has also spent money and time in its R&D division to create a great sounding headphone. The bass is clear and well-managed without sounding too intense while the other notes have a sense of warmth and smoothness, not found in many other headphone models. The low to midrange notes have a pleasant sound that makes it soothing for the ears. The treble quality and high notes are good too. As for the design, Bose QuietComfort 15 is top-class. Though there is nothing much to its outward appearance of silver and black, it sits comfortably on the ears, and makes users feel good even after listening to it for a few hours. The earcups swivel 90 degrees to make it easier to store, though this swiveling makes it inappropriate for runners and for those who want to wear it for their workout sessions. It also comes with a sturdy case that can protect the headphones during accidents and natural weather conditions such as rain and snow. The only downside to these list of headphones is that the noise canceling technology creates a slight pressure on the ears that makes it feel uncomfortable at time. Other than this drawback, these headphones are a good buy, though it can be slightly on the expensive side for some users. Sennheiser is a name that is always associated with good sound and aesthetic design, and the Sennheiser HD598 lives up to this expectation. One of the most striking aspect of these headphones is its design. Designers at Sennheiser are believed to have been inspired by European luxury cars, and they used this inspiration to create HD598. These headphones are in beige color that is accented by the burgundy color padding over the earphones. The frame is made of plastic and is encased in wood that has a glossy finish to it. Overall, these headphones are a sure head turner with their rich looks and unique color combination. Other than looking rich, it is also cozy and comfortable to wear. The extenders help to create a comfortable fit for any head size, and the small pivot on the base of each earcup gives users the feeling of a perfect fit as they can adjust the pivot until the headphone sits comfortably on the head. On the inside of the each earcup, there is a transducer that is based on Sennheiser’s Ergonomic Acoustic Refinement technology. These transducers ensure that users always have the optimal listening position irrespective of whether they are walking or sitting. One downside with these headphones is that they do not come with a case because these headphones are not intended for outside use in the first place. These headphones have an open-ear design, which means, it does not keep noises out. Moreover, it allows air to seep in thereby giving users a feeling of listening to live music. While this open-ear design can be right for some people, it is not the right choice for everyone because music sounds different because of the external noise and air. The upside to this design is that music sounds natural, and in a tone that was intended for listeners. The bass is deep without sounding too intense while the other notes are crisp. With such amazing sound, these headphones are the right choice for those users who love ope-ear design. AKG Q701 is the flagship product in the AKG Quicy Jones series, and rightly so because of its comfortable fit and great sound quality. 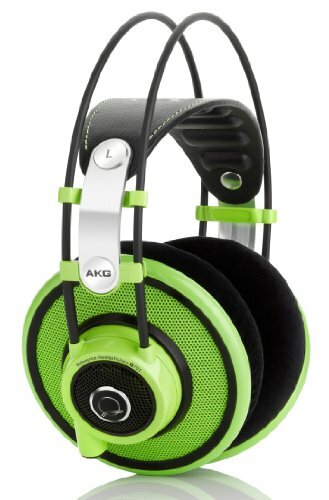 These headphones look stylish, though the green color present on the outside of earcups looks a little off. Otherwise, the standard black and white combination and the overall design looks neat. The construction of these headphones is solid, and looks lasting. In fact, the company claims that these headphones are unbreakable because of the material used to make it. It is unsure if this statement holds good, but these headphones sure look sturdy. In the design, the head band is self-adjusting while the earcups are suspended elastically from the head band. The advantage with this design is that these list of headphones fit properly even while running, and the weight is well-balanced so that it does not sag on one side. The earcups are large and cover the entire ear, but the padding is not made of soft material. Rather, it is made of leather but there is no difference in the level of comfort. As for sound, it is clear and uncluttered that gives a realm of spaciousness and openness to recordings. There is little distortion in notes as music sounds flat on every note. The amount of detail and clarity present in these headphones is also excellent. In short, these are a great pair of headphones that sound flat and accurate from beginning to end. It is something that Quincy Jones should be proud to be associated with. Sony is well-known for its audio quality, and Sony MDR1R lives up to its reputation. These headphones are a combination of strong sound and aesthetic design that gives users a chic look as well as a good listening experience. The design of these headphones are standard, but the choice of colour is a little different. The head band is in chrome silver while the ear cups have a red lining that makes it look cool. The entire headphone has a matte finish that makes it look pleasing. It comes with two 47-inch cables, one is plain cable while the other one comes with a microphone and remote that is ideal for taking calls on iPhones. These cables end in 3.5 mm plugs and are attached to the left ear cup of these headphones. In terms of audio performance, these headphones have a rich high-resolution sound, and they have a prominent bass appeal to it. The balance between tones is also good, and this helps to turn harsh recordings into sounds that can be listened. Overall, these headphones sound natural and open, and there is also a slight subtlety to the notes. 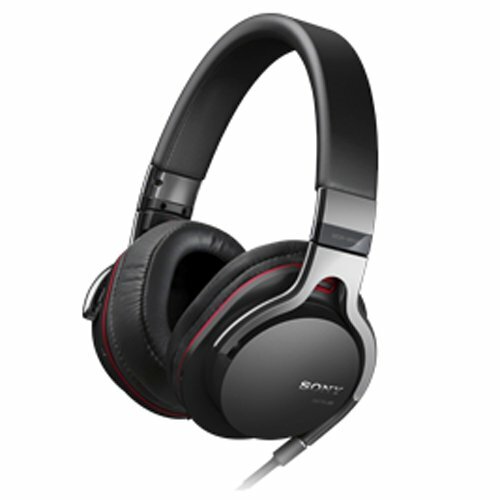 Moreover, bass sounds great on these headphones while the midrange has much detail in it. In short, these headphones sound open and nice while the design is pleasing and aesthetic. Though it is a little pricey, its sturdiness and top quality audio will make up for this high price. Sennheiser offers a range of headphones for different audiences, but Sennheiser Momentum is sure to be one its top list of headphones with its comfortable design and sound quality. Though it is a little high-end, its sophisticated looks and audio makes it worth its price tag. Originally, Momentum came in a grainy brown finish though now it is available in black too. The earcups ad head band are covered in leather to give users a comfortable fit even when it is worn for extended periods of time. The metallic finish on the head band coupled with the brown on the back side of the earcups gives it a chic look. The metal sliders make sure that these list of headphones provide a good fit for any head size while the closed-back design gives good noise isolation. Surprisingly, these headphones feel light when worn. One downside of these headphones is that they will not fold down flat because the head band does not have hinges on its sides. These headphones come encased in a nice-looking case, the interiors of which match the headphones. Along with the headphones, users get two cables, one plain and other comes with a thee-button remote and microphone that is compatible with Apple’s iPhone. The sound coming from Sennheiser Momentum is clear and crisp. Though it does not have the bass effect associated with many of Sennheiser’s headphone, it is nevertheless accurate. The treble and midrange quality is also excellent. In short, these headphones are the right choice for anyone looking to get top quality over-the-ear full headphones. High quality sound makes it perfect to listen to any genre. Beats Studio Wireless is another top-of-the-line headphone from Beats that comes with additional bluetooth and noise canceling features. These headphones come in six different colors to suit the preferences of different users. The available colors are red, blue, white, titanium and two kinds of black – one with matte and the other with glossy finish. The material used to make these headphones is plastic, though the final finish makes it look luxurious. The glossy models are prone to fingerprints, so they come with a cloth to wipe them off. A unique aspect about the design is that there are no visible screws, so it looks neat. One downside with the design is that the cords that come with these headphones are red in color, so it becomes a little too flashy at times. In terms of design and performance, these headphones come with what Beats calls the Beats Acoustic Engines. These engines are digital signal processors that come in two noise cancelling mechanisms. The first one is supposed to give a balance between noise cancellation and the environment while the second one shuts out the noise completely to help users stay disconnected with the world. Users can choose between the two choices depending on their mood. Besides this active noise cancellation technology, these headphones are bluetooth-enabled. To provide power for bluetooth, these headphones come with rechargeable lithium batteries. The company claims these batteries can provide 12 hours of wireless listening and 20 hours of wired listening. Other than these features, it also comes with an in-built microphone. As for sound, it is balanced and plays out tunes well. The bass is not overpowering, rather it blends well with other notes to give a balanced listening experience. Skullcandy Aviator combines aesthetic design with good sound quality to give users a great listening experience. In terms of design, the Aviator is sleek and elegant. 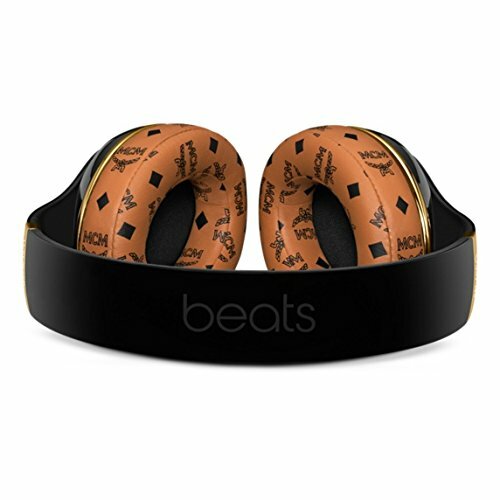 It comes in three colour choices, namely, black, brownish gold and white with all of them carrying a light silver branding on the rims of the head band and earphone. The ear cups are shaped like an egg, and this adds to the aesthetic appeal of these headphones. Another unique aspect of this headphones’ design is the translucent exterior that allows users to see the 40 mm drivers and other parts as they function. Such a unique peek into the working of ear cups is an added attraction. Other than looking attractive, these headphones have a strong and sturdy build too. Even the cable that come with these headphones are made of a tough polycarbonate material to add an extra layer of protection to these cables. In terms of comfort too, these headphones come with generous padding that make it comfortable for users to wear it for long periods of time. The performance of these list of headphones is excellent. Its bass response appeals well to younger generations while its balanced treble and midrange notes appeal to those who like to listen to classics. An outstanding aspect of these headphones is that they can pick individual harmonies in tracks, so there is much emphasis on detail. The clarity is also amazing as listeners can hear every note with great precision. Furthermore, the intense bass sounds natural and does not have even the slightest trace of artificial sound. Its noise isolation feature also makes it ideal for those who want to use it in office or other public areas where users would want to hear other sounds too. Philips has given a serious shot in creating high-end headphones, and the result is Philips Fidelio series, with the prominent model being Fidelio X1/28. These headphones have an open-back design that is meant more for personal use at home rather than for commute or workout. Though most open-backed headphones do not emphasize much on style because they are likely to be used at home, this model is different. To start with, these headphones are made of high end materials and not cheap plastic. The use of such high-end materials shows on the design too as the earcups come with aluminium. Moreover, the head band is covered in leather, and the softness is evident as soon as they touch the head. The padding on earcups is also leather that feels soft on the ears, thereby giving a comfortable fit. Even the cable that comes with these headphones look sturdy, and this goes to show the effort that Philips has put into this product. A unique aspect of these lis of headphones is that they come with 50mm drivers as opposed to the standard 40mm. Due to this larger size, the tuning is better and the music is well-balanced. Some tracks sound a little laid-back, but the openness and clarity makes it a great experience to listen to certain vocal and instrumental tracks. In short, these headphones have one of the best designs and comfortable fit for an open-back design. They use high quality materials to provide excellent looks and to offer the best sound for users. To conclude, the above headphones are one of the best that each company has to offer, and they compete well with each other too. They come with many features that are not found in lower-priced models, thus justifying their high price tag.